Please pet Doge, make him happy. 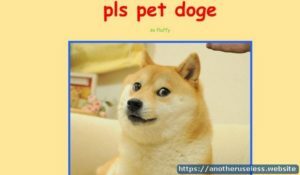 Plspetdoge is a pet the dog useless web. Don’t fight it! Doge is so fluffy. Pet the dog, he really likes it.